Grownups love coffee. It is one of the most consumed substances on the planet, and countless adults schedule their lives around it. With honesty, integrity, simplicity, and humor, What Every Child Needs To Know About Coffee explains this elixir to young children, helping them to understand the modern world and, more importantly, the adults in their lives. 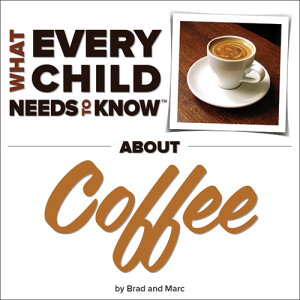 Written by two dads – a child expert and a healthcare analyst – What Every Child Needs To Know About Coffee is the book for any addict who has had trouble explaining the importance of that first cup of Joe to a young child.